I know many people would give their right arm (and probably a leg too) to be able to record at Abbey Road. 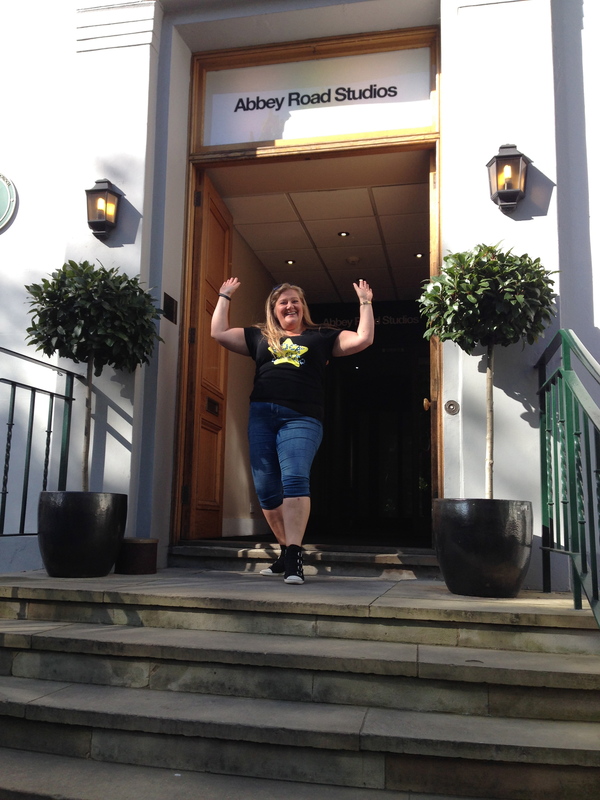 So it’s an absolute honour to find our Rock Choir back in Abbey Road Studios for a second year. Although that honour must surely go to our Rock Choir leader, James (Jim) Hawkins. Jim’s work on Soundcloud. Jim has worked tirelessly to make the arrangements, coordinate arrangements, calculate costs, chase payments, engage producers, engineers, photographers and, of course, book Abbey Road Studios etc. In addition he’s worked one-2-one with the soloists to perfect each of their performances, run extra choir rehearsals and drilled us in ‘torture’ sessions so that our timing, pitch, intonation and musical accents were perfect. Thank you Jim for being ever patient and so generous of your energy, expertise, spirit and time. As with last year’s recording session we concentrated on one main song. This year our Choir chose ‘Proud’. The soloist for Wimbledon Choir was Natalie who I think you’ll agree, pun intended, has done us ‘Proud’. This entry was posted in Living, Phyllodes and tagged Phyllodes, Rock Choir, Singing by AnnaGoAnna. Bookmark the permalink.